Liberty-Lovers of Georgia Discussions Liberty.meWhat Happened When a Georgia Judge Informed Jurors of a Mandatory Minimum? 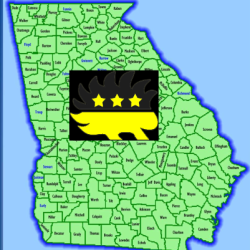 Whether you are anarchist, minarchist, constitutionalist, etc., come join the discussion and network with like-minded people in the state of Georgia! What Happened When a Georgia Judge Informed Jurors of a Mandatory Minimum? What If the Jury Knew about Mandatory Minimums? Fulton County Superior Court Judge Wendy Shoob recently took the all too uncommon but highly commendable step of informing jurors of the mandatory minimum punishment she would be forced to impose on the defendant if they convicted him of armed robbery. In this case, the defendant was facing a mandatory minimum sentence of life in prison without parole if convicted of armed robbery (with an air gun) because he had three prior felonies: one for possession of a screwdriver (yes, really), another for receiving stolen property, and a third for aggravated assault during a jail riot. Click through to find out what the jury did, and for comments from FIJA Georgia State Contact Catherine Bernard. What are your thoughts on this judge’s decision and the prosecutor’s response?